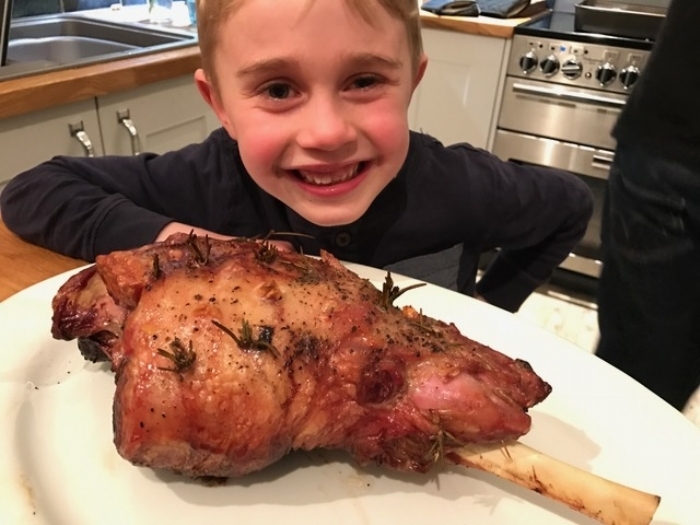 Easter is just around the corner and it’s got us all thinking about leg of lamb cooked on the Big Green Egg. One of our family favourites! Super easy and super tasty, the mini chef always has to be involved, which is fine seeing as it’s the simplest thing ever to prepare and cook. With only a little egg (minimax) at home we are able to cook a good size leg (enough for 8) and while the egg is warming up we push cloves of garlic and rosemary into small holes we make with a sharp knife. A bit of salt and pepper, a drizzle of olive oil, a good rub and we are ready to go. With great ceremony the lamb is placed in the egg and shut in. We then completely ignored for a couple of hours whilst we go and test our creativity elsewhere, like laying the table and making place cards. Once cooked and rested we serve the lamb with dauphinoise potatoes and spring veg. 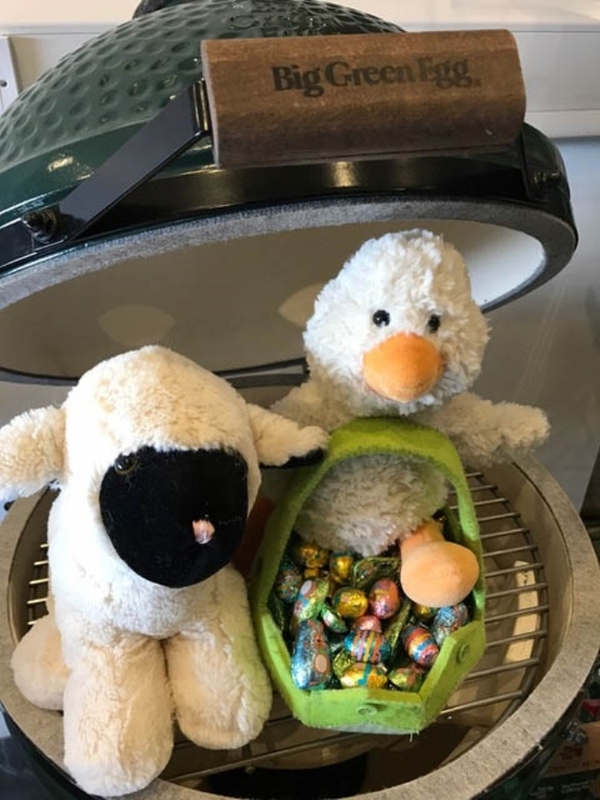 Big Green Eggs are in Stock at Kernow Fires, Just in time for Easter!